Like many young adults out there, there was a magical time during my youth that was defined by J. K. Rowling’s Harry Potter series and the very big spectacle that came with a new book release. Seriously, when was the last time you actually attended a book release at midnight? I certainly know my answer. In my town the parties were at Hastings or Barnes and Noble - and every year there were many hundreds of fans dressed in costumes and drinking butter beer and playing games. And at midnight we would line up and check out and go home to read all night long. After a few days I’d be done and the patient wait for the next installment would begin. One of the most incredible things about Harry Potter for my generation was growing up along with Harry in the books. I was lucky enough to be the exact same age as Harry when the first book came out - 11 years old. And, as we all know, the storyline definitely matures as the series goes along. By the time the books grew significantly darker and more emotional, I was at a point in my life to appreciate it all the more. Nowadays kids can devour the entire series in a single year or less if they so desire, but there was something very special about the timeframe of the original releases that’s difficult to replicate. So now I’m a father of two (currently ages 6 and 2) and I sit around thinking typical fatherly thoughts such as “how should I go about introducing my kids to classics like The Lord of the Rings or Harry Potter?” I have grand visions of reading a few pages every night at bedtime and revisiting these amazing worlds together. But when’s the right time to start? What if we aren’t ready to graduate entirely to chapter books? And how in the world could we ever recreate the magic of growing up along with Harry Potter? 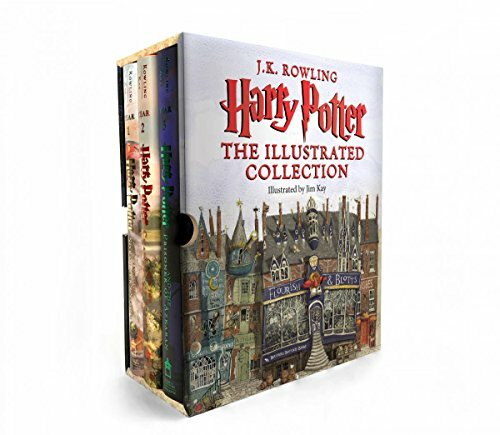 Well thanks to the new series of Harry Potter illustrated editions - illustrated by Jim Kay - we’ve actually hatched the perfect plan for introducing Harry Potter to our children. I consider this my public service announcement, because unless you’re a real Potterhead, there’s a very good chance you didn’t even know this was happening. But I advise you to pay attention now. It’s not too late to join in on the fun! In 2015, illustrator Jim Kay released Harry Potter and the Sorcerer’s Stone, in 2016 he released The Chamber of Secrets, and in 2017 he released The Prisoner of Azkaban. The Goblet of Fire is due out October 2019. Just in time to put it under the tree next Christmas. In other words, this is a whole lot like the timeline of the original books’ releases. If you play your cards right, you can replicate the magic of growing up with Harry - and waiting with anticipation for the next book’s release. 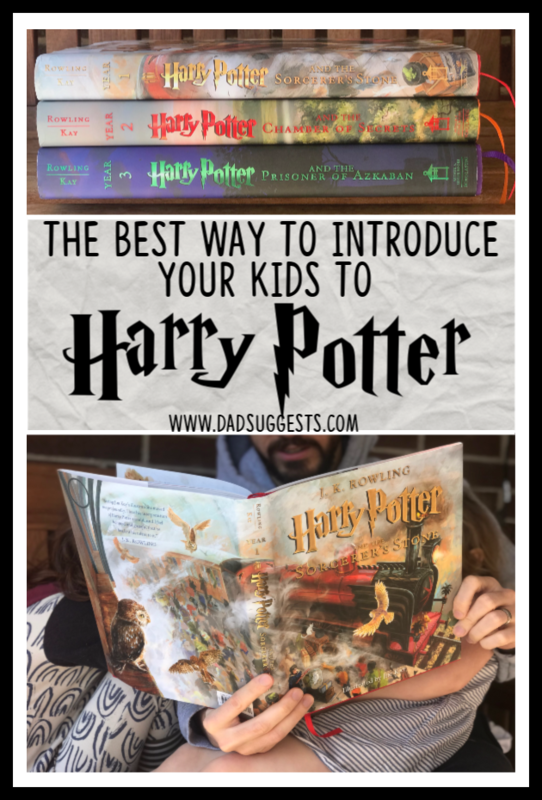 If your children are the right age - it’s my opinion that these books are hands down the perfect way to introduce them to the world of Harry Potter. These are unabridged versions of the wonderful books we grew up with - with the added bonus of Kay’s incredible art that really brings the stories to life. Put it under the tree each Christmas, and story time will be accounted for and taken care of for many years to come. At least that’s my plan. I’m delivering this public service announcement because our 6-year-old is at the perfect stage of his reading career to benefit from the illustrated editions of classic books. I like to think of books like these as the perfect transition between picture books and chapter books. We are at that magical stage of read-alouds where we’ll grab longer books and spread them out over several nights. We’ll read classics like Treasure Island or Charlie and the Chocolate Factory, but we’ll also try our best to get our hands on the illustrated versions for our little ones. And, of course, it’s really for us too, because you’re never too old to appreciate beautiful art like the drawings found in these books. There’s a lot of magic in the art - as fans of picture books know well. To be perfectly honest, I never thought that I’d need to repurchase all of the Harry Potter books again. It never crossed my mind. Books get republished all of the time with different covers and with boxed sets, but rarely does it tempt me to go for a repurchase. So I was quite surprised when the illustrated version of The Sorcerer’s Stone came out in 2015 and I immediately realized I had to have it. This was something completely new. And I had to share it with my kids - there was no question. I simply saw it sitting on the new release shelf one day. I had no idea they were doing this. And, honestly, I get the feeling many people still don’t. But I was blown away when I started flipping through it. I couldn’t believe how cool it was. 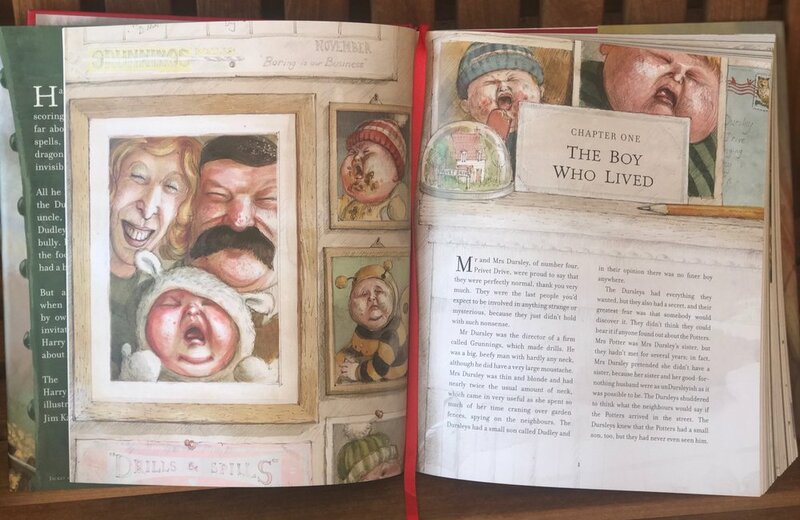 Our son was three at the time, and I was probably shopping for new picture books, and then I end up finding an unabridged version of The Sorcerer’s Stone full of incredible pictures. What could possibly beat that? And I really appreciate the entire package of these books. They’re larger than the original books - shaped about the size of a standard picture book - and they’re very elegantly designed. Each book has its own color scheme for the cover and a matching built-in ribbon bookmark. They’re definitely designed to look beautiful sitting together when we finally have the whole set on our bookshelf. They’re built to be treasured. When I was in that bookstore in 2015 holding The Sorcerer’s Stone - after digesting how beautiful the book was - my very next thought was: “holy smokes, what if they do this for all of them?”. And that was quickly followed by: “wow, how gigantic will The Goblet of Fire be?”. Well, we’ll find out in October, won’t we? Bring it on! Did you already know about the illustrated Harry Potter books? Do you love them as much as we do? Are you reading them to your kids? Tell us about it in the comments!